As peaches turn over the seasonal spotlight to apples, I’m saying goodbye in the sweetest way I know how. My partner in cuisine crime and I had more locally-grown peaches this year than ever before, and because of that I had plenty of opportunities to experiment. I wanted to make a dessert that doesn’t usually highlight peaches. Turnovers came to mind. They’re crispy on the outside and lusciously fruity on the inside. They seem intimidating, but they’re not. I promise. You don’t have to make your own dough. I used puff pastry, which is a mixture of dough and fat. When heat enters the mix, the fat (usually butter) melts and even boils creating steam that caused the pastry to puff. And you know me. I always have to take everything one step farther. 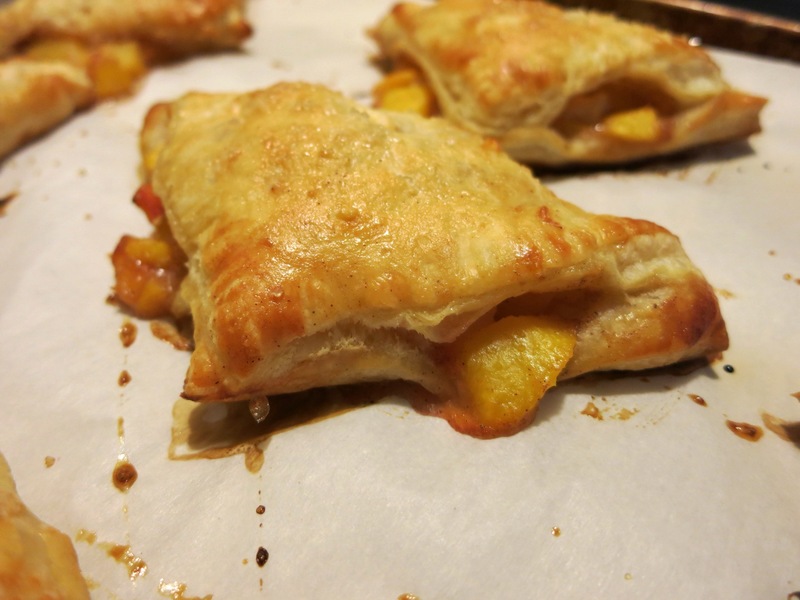 This time I went for peaches and cream turnovers. Preheat the oven to 375. Line 2 cookie sheets with parchment paper. In a bowl, combine the chopped peaches, the sugars, the spices, the ginger, the salt, the lemon juice, and the flour. 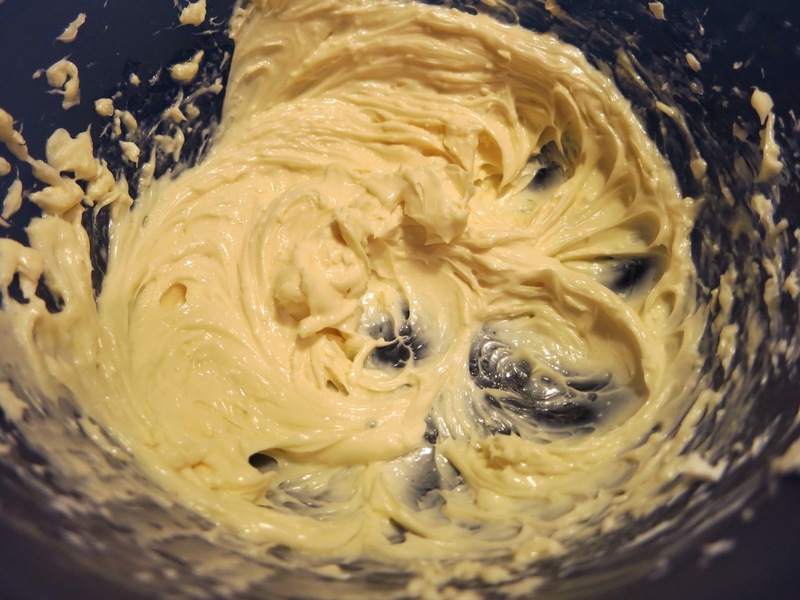 In a small bowl, combine the cream cheese, yolk, sugar, and vanilla using an electric mixer. If you don’t have a mixer, just stir briskly with a wooden spoon. 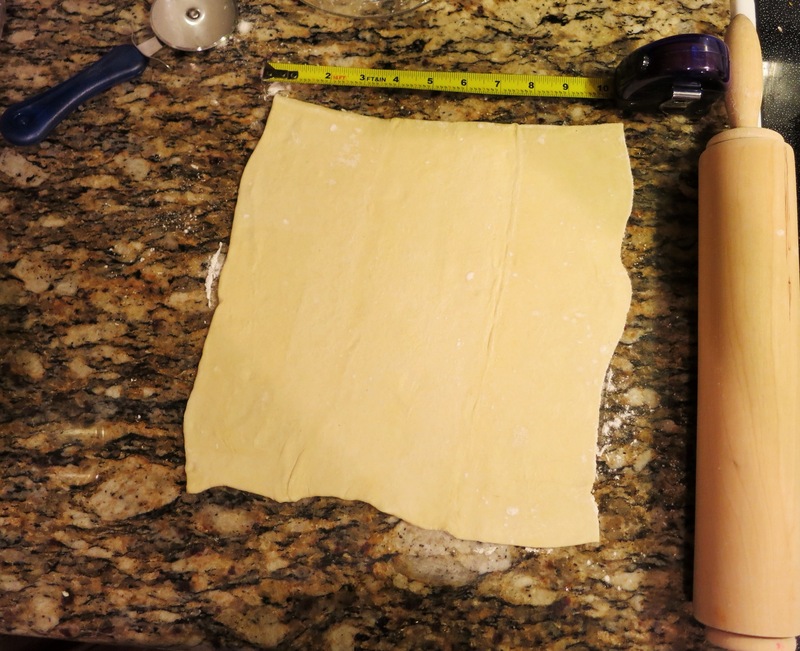 Dust a countertop with flour, then unfold one package of the puff pastry and roll it out until it’s 10 inches in width. 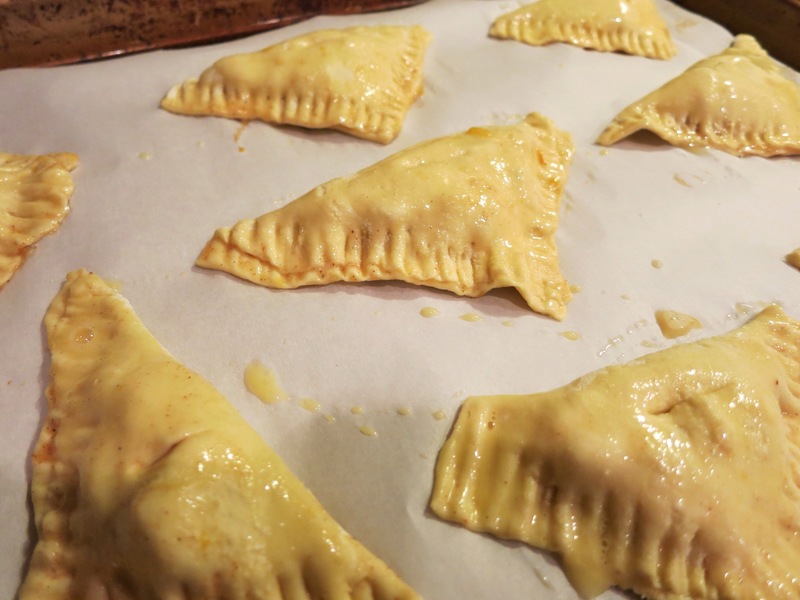 Cut the puff pastry into 9 even-sized squares. 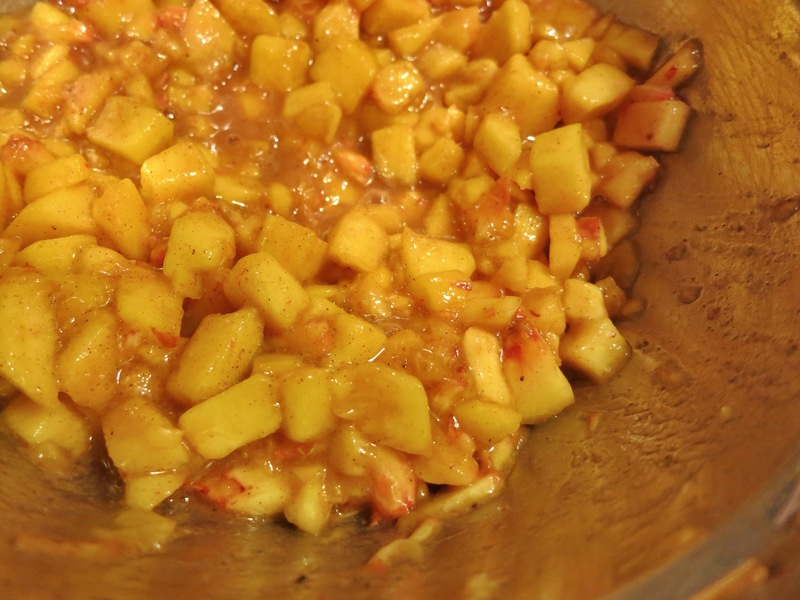 Using a teaspoon, add some of the peach mixture to each square. Then add some of the cream filling. Keep the filling as centered as possible. Be careful not to overfill. I made that mistake. Using a pastry brush or your finger tip, brush the egg wash on the edges of the squares. 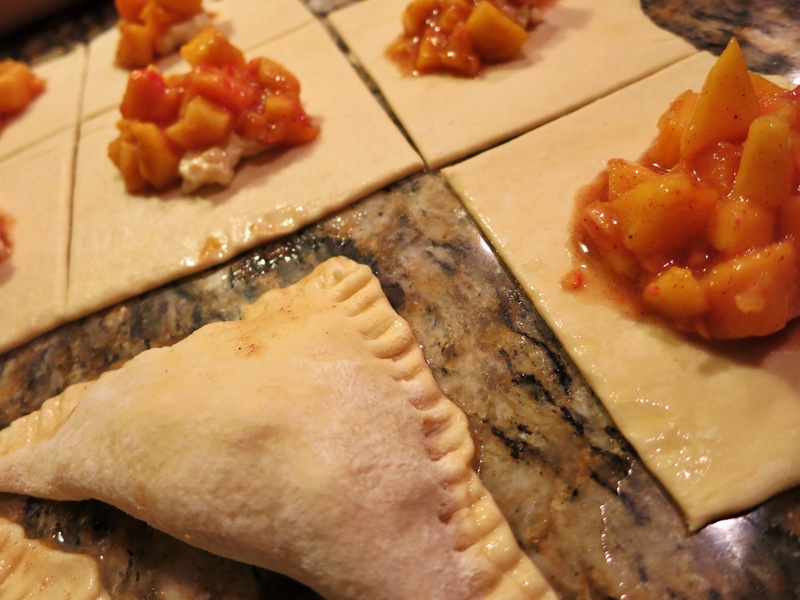 Fold each square on the diagonal over the filling, then crimp the edges with a fork. Line up each turnover on the lined cookie sheet. Brush with egg wash and sprinkle lightly with sugar. 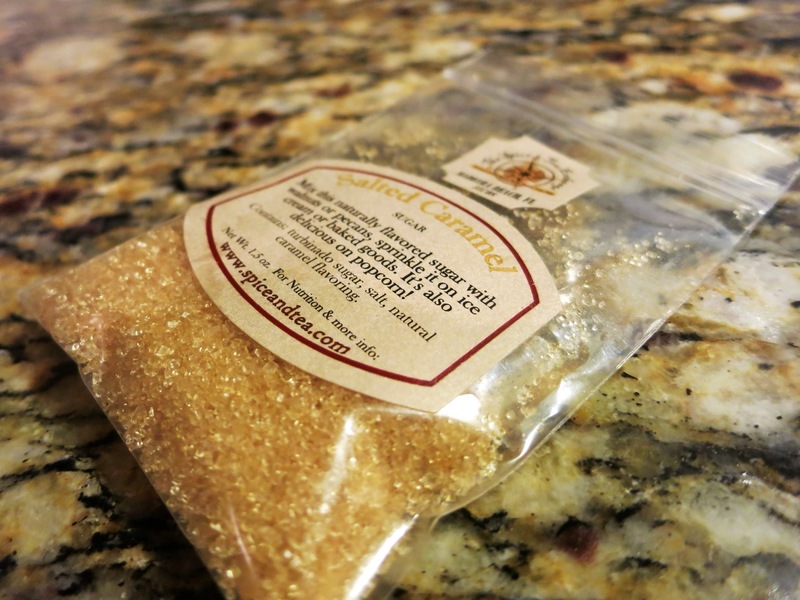 I used salted-caramel sugar, but regular will work fine. Then cut a slit in the top of each turnover. This will let the steam escape. 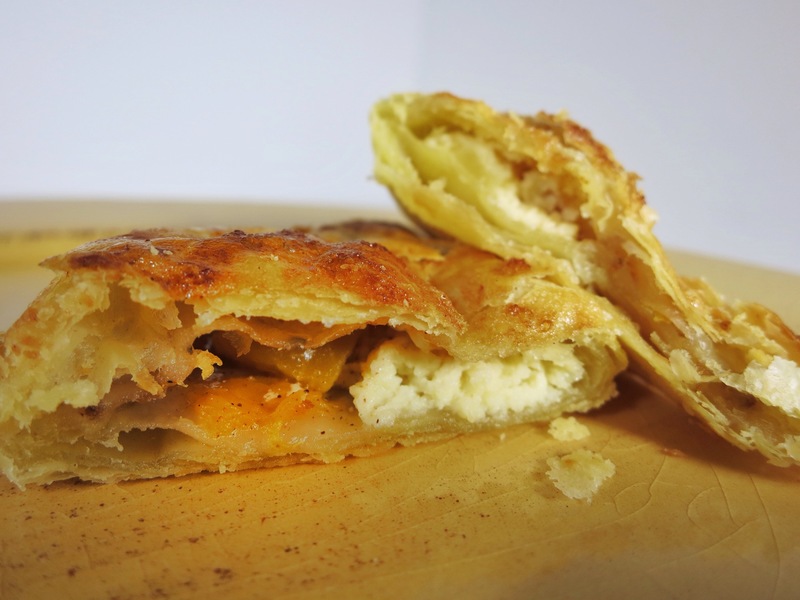 Repeat this process with the other package of the puff pastry. Bake for 20-25 minutes or until the turnovers are golden brown. 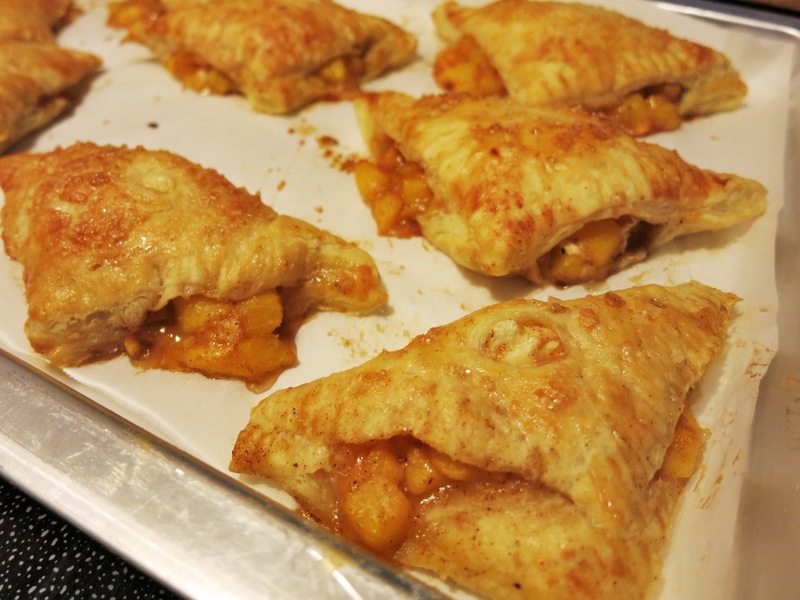 These turnovers are flaky, crispy, and fruity. They’re not overly sweet. The spices come trough subtly. The cream creates just a hint of richness. I love this combination of flavors and textures. I’m already looking forward to next year’s peach season. This one is about gone! 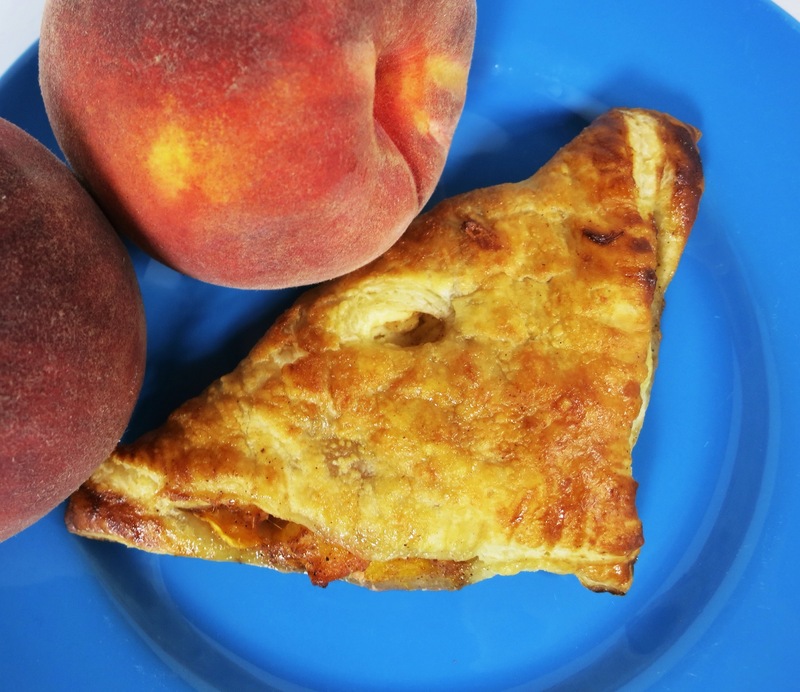 Tip: Refrigerate leftover turnovers. Reheat in the microwave for a softer turnover. That should take 15-20 seconds. If you want to enjoy that crispy shell again, reheat in a 350 degree oven for 10 minutes.